Are you buying books for your 8-year-old but feeling a little lost? 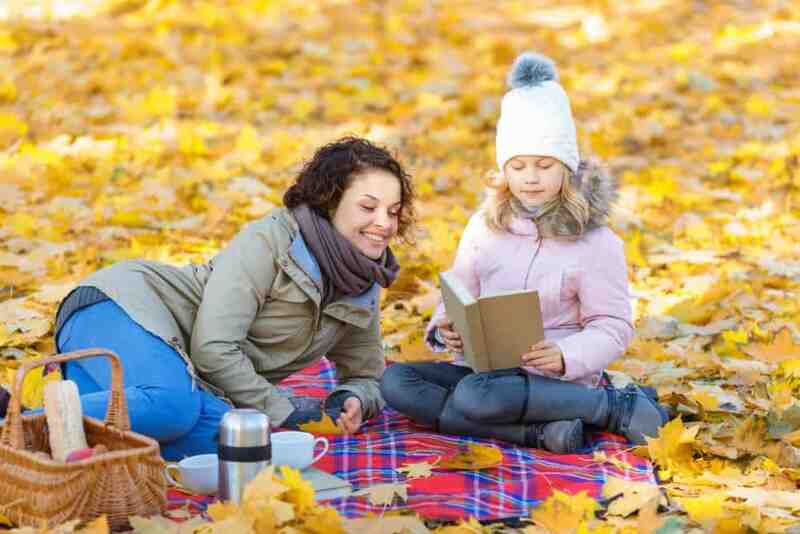 Do you want to make sure that what your child reads is good for them? At 8 years old, children are impressionable, and the books you give them could influence their attitude towards reading forever. Give them a head start by buying the best books for 8-year-olds. Here’s everything you need to know, and my top recommendations. Use the links above to check the latest prices or read our in-depth reviews below. Reading independently: This includes longer novels with less illustrative content. Reading out loud: With appropriate expressions and tones. Understanding paragraphs: 8-year-olds should be able to make sense of formatting and punctuation in text. Referencing: Capable of deciphering what they don’t understand by referencing it to pictures or context. Comprehension: Including summarizing what they’ve read, and understanding texts as a whole. An 8-year-old should also recognize the humor in what they read, and have a wider vocabulary. They should understand that words don’t always sound the way they’re written, and have a good understanding of phonics and spelling. Humor, in particular, is highlighted in the milestones for 8-year-olds. 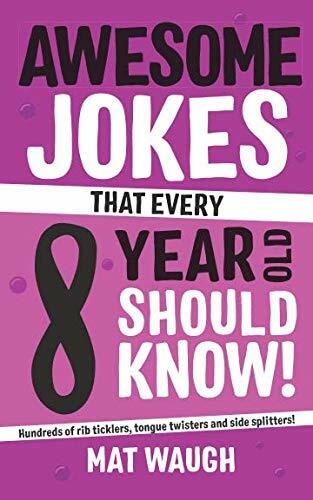 Sticking to this, I think a joke book is an excellent book to give your child. The jokes in this one are written specifically for 8-year-olds to enjoy. To give you a taste of what your child can expect, I literally laughed out loud at this one: What does a man with two left feet wear? A flip-flip. I firmly believe that there’s no better way to spark your child’s imagination (or love for books) than introducing them to Harry Potter. 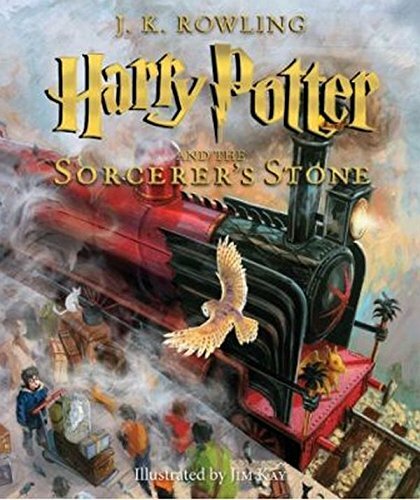 This exquisitely-illustrated edition is ideal for 8-year-olds who can read novels but will still appreciate the pictures. I first read Harry Potter when I was around this age. I personally recommend it to everyone, old and young alike. It’s a great collector’s item if you’re a Potterhead. Whether or not you’ve read these, you’ve surely heard of them. 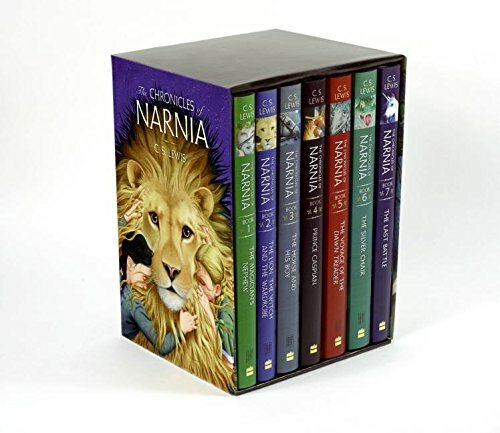 The Chronicles of Narnia is one of the most acclaimed children’s fantasy stories — one that has stood the test of time. 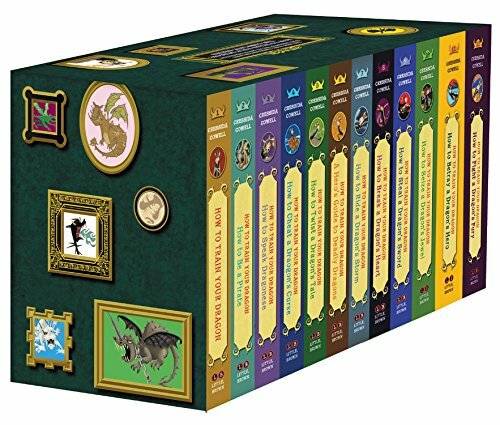 This box set contains the complete series and is an excellent choice for getting 8-year-olds started in literature. It’s the story of four siblings who discover, and soon defend, a magical world they stumble upon by chance. It’s an excellent story that everyone will enjoy. 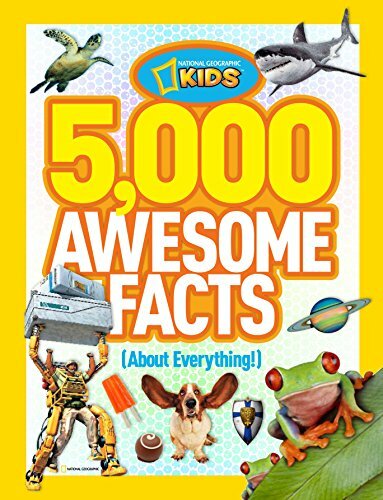 Taking a break from imagination, this much-loved National Geographic book of facts will give your child a brain boost. They’ll learn about everything under the sun, from peanut butter to sharks to world history. The photographs will catch your child’s eye, and since it’s not a novel, they can return to the joy of this again and again — learning something new each time. They’ll be eager to share the facts with you, so you’ll grow smarter too. If your 8-year-old is a fully fledged bookworm, they may be ready for this touching story. It’s one of the most beloved books of all time. Perhaps it’s time to pass it down. It’s written by E.B. White, who crafted Stuart Little and The Trumpet of the Swan. 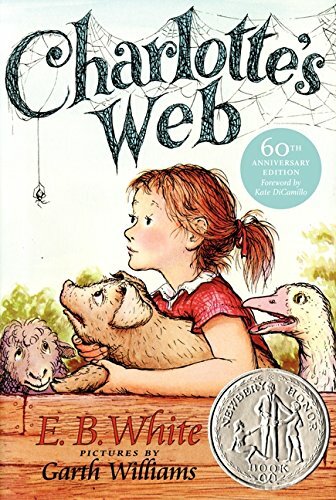 Charlotte’s Web is the story of the bond between a spider, a pig, and a little girl named Fern. It explores important themes, like friendship, loyalty, love, and death. It’s a triumph that will be enjoyed for years to come. To contrast the feeling of Charlotte’s Web, I’m recommending one of the silliest book series ever written. How to Train Your Dragon is, I’m sure you know, one heck of a ridiculous saga. The complete box set follows the full adventure of our Viking hero, Hiccup, and his sweet pet dragon, Toothless. It includes hilarious artwork and an unforgettable design. It’s a New York Times bestseller and a great gift for fans of the movies. 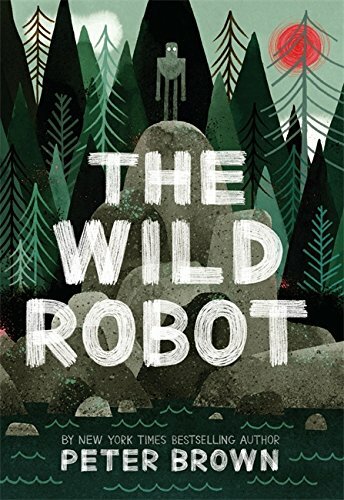 This is the touching story of a robot named Roz, who finds herself alone on a secluded island. Not knowing how she got there, or why, she is forced to adapt to her surroundings and become one with the wild. But how can a robot, something man-made, fit into a natural environment? This deeply moving story has many moments that will warm your child’s soul. It also touches on themes like nature, sentience, and technology. 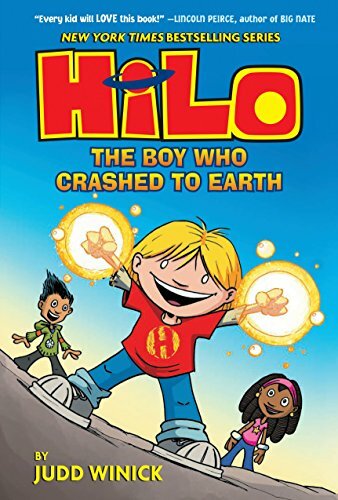 If you’re looking for an action-packed graphic novel that’s fun to read, Hilo is the series for your child. It’s been praised by many a revered author, including Neil Gaiman and Jeff Smith. It follows D.J. and Gina, two otherwise ordinary children who befriend Hilo — an alien boy who can’t remember where he comes from or why he fell to Earth. Together they teach Hilo how to blend in and survive in our world, while trying to unlock his past. There are space robots. What more could an 8-year-old hope for? Elliott Harkness’s parents, sister, and dog are superheroes. 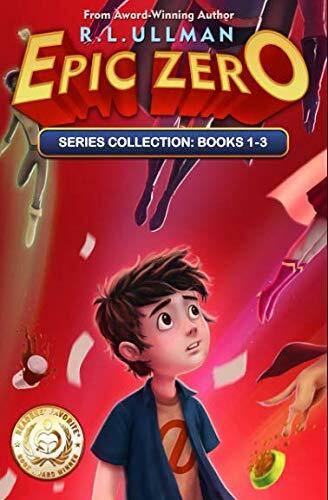 He, unfortunately, has no power and is labeled a “zero.” While his family saves the world, he is stuck being an ordinary kid. When a new threat arrives and Elliot learns that he is the planet’s last hope, he has to dig deep within himself to save it. Will he become a superhero, or will he remain powerless? Epic Zero is brilliantly narrated. It’s hilarious, original, and is bound to put a smile on your 8-year-old’s face. Last (but absolutely not least) is this thrilling and loveable mystery that’s great for little detectives. It follows a group of friends who live next door to the zoo. When one of them, Megan, gets a hunch that something in the zoo is amiss, she vanishes. It becomes the task of her brother and friends to find her. Your 8-year-old is bound to love this exciting mystery. 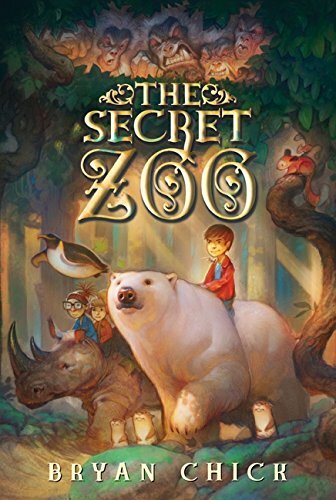 It’s got action, adventure, friendship, animals, and mystery. It’s the complete package. Although I’m drawn to each of these books for different reasons, I must pick Awesome Jokes as the ultimate winner in our list of best books for 8-year-olds. Not only is it written specifically for 8-year-olds, it’s easy for them to grasp and will have them rolling with laughter. Is your child a bookworm? Which books have I missed? Leave me a comment and let me know. I’d love to hear from you.